Save time and money with Fast, Stress-free Delivery to virtually anywhere in North America on all Stressless Ottomans and Matching Tables. Ekornes offers a variety of ottomans, tables and matching accessories to take their most comfortable recliners and sofas to the next level. Check out the Double Ottoman with Table. This item offers fully-functioning wheels, storage, and a beautiful wood slab table top for utility. Now you can even order the matching recliner ottomans separately. Call 888-486-9463 for availability as we have 100s of items in stock for immediate shipping. 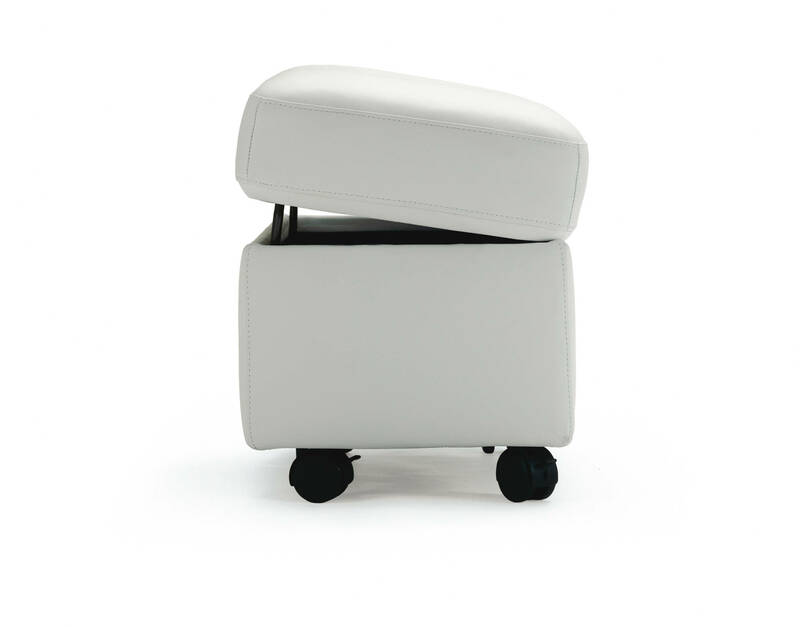 Select the ottoman that suits your needs best. Choose your preferred leather type and color by selecting from the small color swatches underneath the desired leather type. Then select a wood stain if it applies. The Promotional Pricing will be displayed automatically (it's displayed next to the product images, top of page). Ekornes ingeniously provides matching ottomans for their sofas, loveseats, Stressless Recliners, Home Theater Seating, and Sectionals. You can design these pieces to match perfectly in style, leather, and color. Many of these ottomans also have hidden storage compartments. This is perfect for family units of all sizes. You can relax and sit comfortably knowing you have Ekornes quality construction and a rock-solid warranty, already included at no extra cost. You can order from our stocked colors or special order an item to match your furniture perfectly. If you are looking for our Sofas and Loveseats, click here: Ekornes Furniture Main Page. All ottomans are included in the Batick & Paloma Special Pricing Promotion. This saves you about 20% just for selecting one of the four select colors. 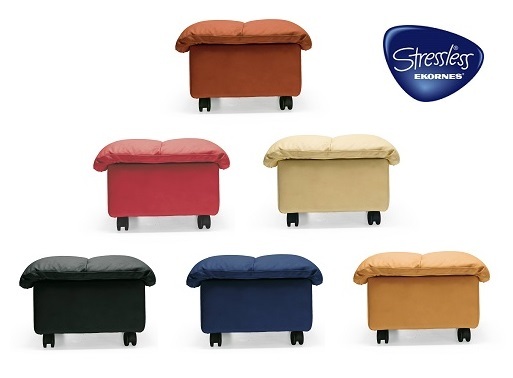 Stressless has been producing the world's most renowned furniture since 1971. These items feature unique functions, proper support for your back, a 10-year warranty, and so much more. There is nothing that comes close to comparing to the quality and comfort. If you want to learn more about what makes Ekornes such a distinctive company, follow our link: [About Ekornes].